Who Will Control the Kazakh Oil? - Chevron came to Kazakhstan twenty years ago, having concluded a contract on establishment of a joint venturefor Tengiz field development. Today, after two decades, how do you assess the Tengiz position among Chevron’s global projects throughout the world? - Tengiz is our biggest asset in Kazakhstan and truly represents a crown jewel among the world’s oil fields. Operating this asset is a rewarding experience for oil and gas professionals due to its unique combination of challenges and opportunities. Field development is challenged by very high reservoir pressure and hydrogen sulfide content and the long distances to export markets. Chevron was the first Western oil company to invest in Kazakhstan and remains its largest foreign investor. We’re proud of so many things we’ve been able to achieve within these 20 years. Today, Tengizchevroil is making an important contribution to Kazakhstan’s ascendency as a key player in global energy supply. The joint venture has reached a capacity of more than 600,000 barrels per day after completing expansion projects – Sour Gas Injection (SGI) and the Second Generation Plant (SGP) in 2008. These facilities are among the largest and most technologically complex engineering projects in the world. The SGI facilities boast the world’s highest-pressure and highest-percentage hydrogen sulfide injection compressor, while the SGP is the world’s largest single train sour gas and crude processing plant. 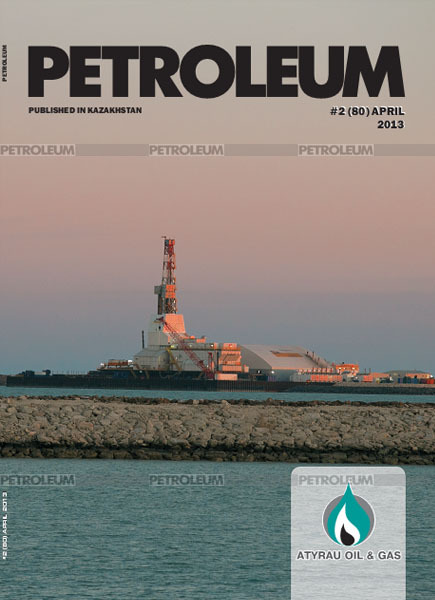 Development of the Tengiz oil field has been successful for both the Republic of Kazakhstan and Chevron. Tengizchevroil has gone from producing about 1 million tons of oil per year in the first year of operations (1993) to over 25 million tons today. The economic benefits to the Republic of Kazakhstan generated from Tengiz have been significant. From 1993 through 2012, TCO made direct financial payments of $74.2 billion to Kazakhstani entities, including Kazakhstani employees’ salaries, purchases of Kazakhstani goods and services, tariffs and fees paid to state-owned companies, profit distributions to Kazakhstani shareholder and taxes and royalties paid to the government. In 2012 only the direct payments to the Republic of Kazakhstan totaled $14.2 billion. 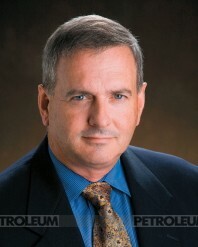 - What are Chevron’s plans at Tengiz? What is the status of the field’s Future Growth Project? - TCO is working on a further expansion of Tengiz that will produce significant numbers of jobs and large-scale use of Kazakhstani goods and services. The Future Growth Project (FGP) would increase crude oil production capacity by approximately 12 million tonnes per year (250,000 to 300,000 barrels of oil per day), raising TCO’s total production to about 900,000 barrels of oil per day. FGP, based on the highly-successful SGI-SGP expansion, is a strong growth opportunity for Kazakhstan and for TCO. The Tengiz expansion would include a 12 million tonne crude oil stabilization facility, a new crude oil gathering system, two new sour gas injection compressors, as well as power generation and utilities facilities. FGP will also develop engineering capabilities and create significant opportunities for Kazakhstani business development. The project will require more than 20,000 positions at the peak of construction. About 500 new permanent jobs would be created to operate the facilities after the launch. - What are the achievements in the other major projects in Kazakhstan where Chevron is also a stockholder? - While Tengiz Chevon’s largest investment in Kazakhstan, it not the only one. We are partners in the Karachaganak Petroleum Operating consortium (KPO) with an 18 per cent non-operating interest in the Karachaganak field, one of the largest oil and gas condensate fields in the world. Since 1997, KPO’s partners have invested approximately $17 billion into developing the field, applying industry leading technology aimed at maximizing sustainable economic value. Today, it is the major gas producing enterprise in Kazakhstan, with around 45% of the total gas and around 16% of the total liquid hydrocarbon volume production in the country. 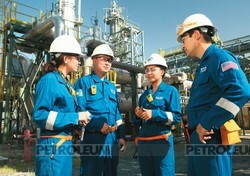 In 2012, KPO produced 10 million tonnes of oil and 17.5 billion cubic meters of natural gas. KPO is the major employer in the region, with almost 4,000 employees, primarily Kazakhstani citizens. KPO proactively implements the local supplier development program with almost 3,000 Kazakh enterprises registered in database, and $4 billion worth contracts assigned.